Unlock Sony Ericsson Xperia SX - Safe IMEI Unlocking Codes for You! 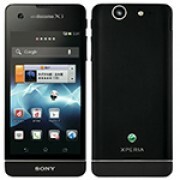 Unlock Sony Xperia SX Handset! In case your Xperia SX doesn't ask for the code and there is no designated field to enter it, please DON'T PLACE ANY ORDER, contact us first for support. Looking to get your Xperia SX unlocked? Follow this guide to get unlocked using SafeUnlockCode’s online unlocking service and you’ll be unlocked fast! It’s safe, easy to do and 100% guaranteed to work! Get your unlock code from us and you’ll then be able to get unlocked within minutes! Check out our A-Z directory if you’re interested in unlocking a different handset instead. Being unlocked will mean your Xperia SX will be able to use networks like Rogers, Bell, Telus, Fido, Vodafone, Sprint, Verizon, O2 and more. To get unlocked, you will need to follow these guidelines set out for you. IMEI - firstly, we’ll need your IMEI number. To find it, dial *#06# on your Xperia SX. Network- Next, we’ll need the network your Xperia SX is locked to. Country - After that, we’ll need the country you bought your Xperia SX from. Once you’ve done all of that, you’ll need to check and make sure your Xperia SX still has unlock attempts remaining. To find out, enter a SIM card into the Xperia SX that isn’t accepted currently and then wait for a screen to display. Once you’re on this screen, tap on the emergency calls button and then dial *#*#7378423#*#*. Doing this will open up a services message. The number next to network will show you how many unlock attempts you have left. If it is 0, please DO NOT place an order with us! It will not work! How to Unlock Sony Xperia SX Phone - Tutorial! Next, send us your Xperia SX’s IMEI number, the country it was bought in, the network it is locked to and an email address we can send an unlock code to. After that, simply check pricing and availability and then proceed to checkout. Once you’ve done that and your order has processed, wait for an email from us and then get the unlock code from the email. After that, enter a SIM card that uses a different network to the one you are locked to into your Xperia SX and turn it on. Once it is on, enter your unlock code into the entry field shown to you. Once you do this your phone will be unlocked. Having trouble with this process? 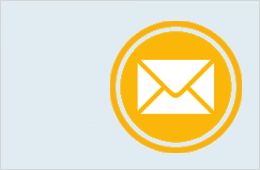 Simply contact us! Xperia SX code from Denmark Orange can you provide it? Hi Tyson! Yes, we can generate the codes. For all the details about the time needed and the price please fill in the form or email us. Thank you! I need help to unlock my Xperia SX from WV at&t! Can you provide code from Austria Orange?